If you have a glance over on the right hand side of the screen, a little lower down, you’ll see two badges in blue (unless of course you’re reading this on your phone, thanks to the snazzy new ‘for mobile’ design I’ve added). Those are my Natural Parents Network mentor and author, representative of my online mother’s group. 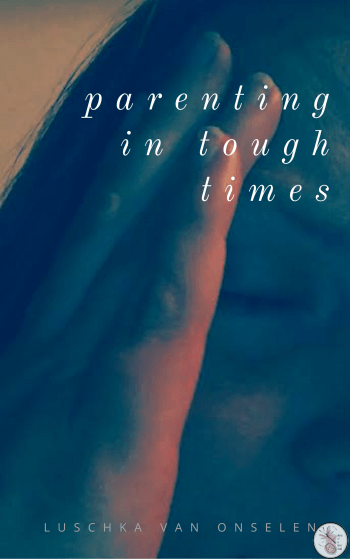 The Natural Parents Network is where I go for advice, information, or just generally to take a load off and learn from others who have walked this parenting journey ahead of me. Today I’d like to share with you some of the best posts written by other NPN mentors, authors and moderators, all volunteers in this incredible network.Â If you haven’t yet, I encourage you to join the NPN community on the blog, on Facebook and on Twitter. Amy at Innate Wholeness offers simple tips to be present with family whether you’re having fun and want to soak it up like a sponge or would rather run and hide in a cave. Charise at I Thought I Knew Mamashares sound bites from her miscarriage journey of forgiveness and gratitude. Shannon H – Pineapples and Artichokes – Let’s Talk About Diversity – Shannon writes about how she is trying to raise her daughter to be accepting of everyone. Amanda at Let’s Take the Metro shares a comprehensive list of all the food she keeps on hand. Dionna at Code Name: Mama offers 7 Alternatives to Good Job: “Good job’ing” kids can be a mindless habit to fall into. Instead of using a generic “good job,” try one of these ideas to really connect with and nurture your child. Darcel @ The Mahogany Way has the ultimate boredom busting activity for children of all ages. Mandy @ Living Peacefully With Children: Letting go of the illusion of control opens up a an entirely new world. Mary Michael @ The Accidental Natural Mama recounts her journey to Mama-hood. Sheryl @ Little Snowflakes talks about the benefits of nursing a child to sleep. I hope you enjoy these links, and that they give you plenty of encouragement, inspiration, and a little something to think about! I know I’ve learned a lot from these girls and I hope youÂ have too! Sheesh, I just opened like every one of these links in a new tab each. Happy reading to me! Thanks for sharing.